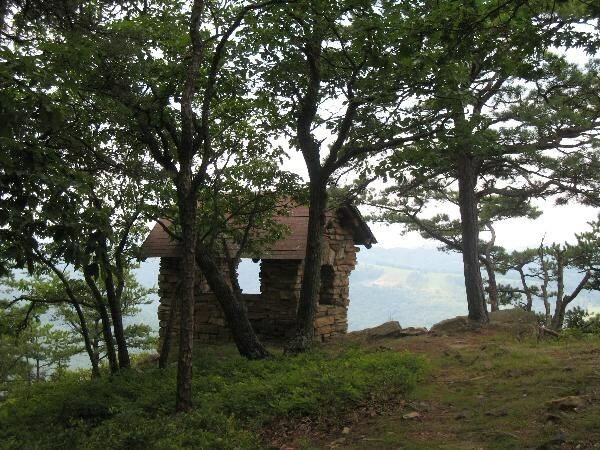 This earthcache is located atop Big Ridge in Lost River State Park in Hardy County, WV. From 1933 through 1942, the Civilian Conservation Corps (CCC) had over 67 camps in West Virginia. They built bridges, planted thousands of trees, and built several State Parks, Lost River among them. 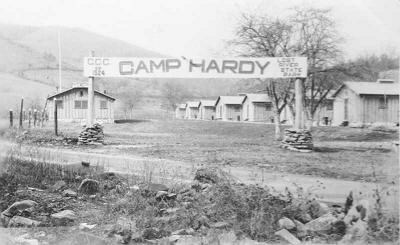 Camp Hardy was located in Mathias, WV from 1935 until 1940, and built the park's buildings, picnic facilities, trails and bridges. A quarry within the park's boundaries provided stone for the cabin foundations and fireplaces, and the timber used to build the cabins was cut from within the park. The Lost River Craft Cooperative and Museum is nearby in the town of Lost River (on Rt. 259) and has an exhibit that commemorates the CCC and the building of the park. Finding the cache requires a 3.5 mile hike that takes approximately 1.5 - 2 hours (round trip) and includes a 900' rise in elevation over well-marked trails. This location has a beautiful view of five counties in two states. The listed coordinates are for Cranny Crow Overlook, built on an outcropping at the top of Big Ridge. Nearby Cheeks Rocks is another exposed rock overlook. There are three ways to reach your destination: 1) The White Oak Trail, which begins at the stables (see parking coordinates) and is the most direct (but steepest) route, 2) the mountain road that can be accessed from the main park road (coordinates provided), or 3) Big Ridge Trail, which is located off the mountain road. Trail maps can be had at the park office or online at www.lostriversp.com/lostriver.pdf. The park map shows the location of the overlook, which affords a beautiful view of the surrounding mountains. Once you have rested at the overlook and enjoyed the view, take a look at the rock outcropping in front of the overlook. This area of West Virginia is part of the "Valley and Ridge" section of the Appalachians, and the mountains were formed during a period known as the Alleghenian Orogeny. The rock formations consist primarily of sandstone. At what angle are the rock strata? What clues does this angle give you about how the ridges were formed? To log this cache, send me the answers to these questions by email and include a photo of yourself with the Cranny Crow overlook in the background. 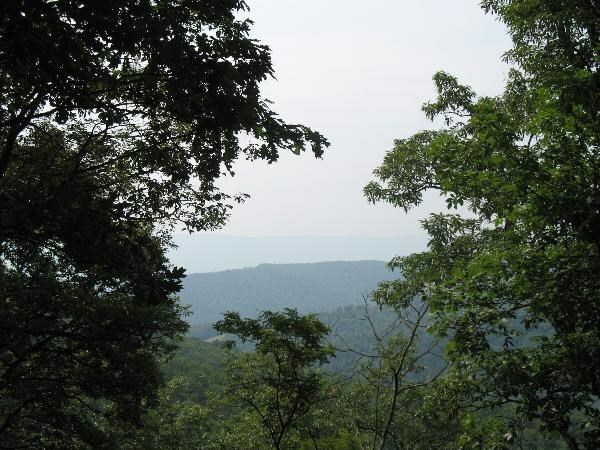 Note: An excellent side-trip to this cache is located west of Wardensville, where the Lost River sinks under Sand Ridge and reappears on the other side of the mountain as the Cacapon River. The site is near the "Lost and Found" highway marker.